PRESS RELEASE JUST EMAILED TO ME Reproduced here in full.. Occupy London Stock Exchange (OccupyLSX) is holding a People's assembly in the heart of London’s financial centre just outside St Paul's cathedral, with more than 4000 people gathering to highlight and address social and economic injustice in the UK and beyond. OccupyLSX is one of more 950 actions taking place around the world who are coming together under the banner of “United For Global Change” calling for true democracy. Over 20 actions and occupations are happening around the UK. This afternoon,OccupyLSX held its first General Assembly – open to all – allowing attendees to voice their opinions as well as taking decisions. Together they are deciding the future of the occupation and people are currently working together to set up toilet's kitchens and to decide the future of the occupation. There are plans for workshops, talks and teach-ins. “No wonder levels of social mobility in the UK are the lowest among all developed economies. The financial elite are taking advantage of the rest of the nation, with the top ten percent now have 100 times the wealth of the bottom ten percent. It is time to make a stand for a democratic society for all, in solidarity with the 99 per cent around the world,” added Ronan. Bringing together a diverse range of people, OccupyLSX is part of 20 actions and occupations happening in towns and cities across the UK  and over 950 actions worldwide today. 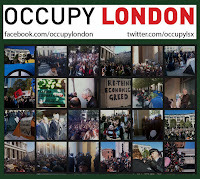 It is supported by groups including UK Uncut, the London-based Assembly of the Spanish 15M movement and others. 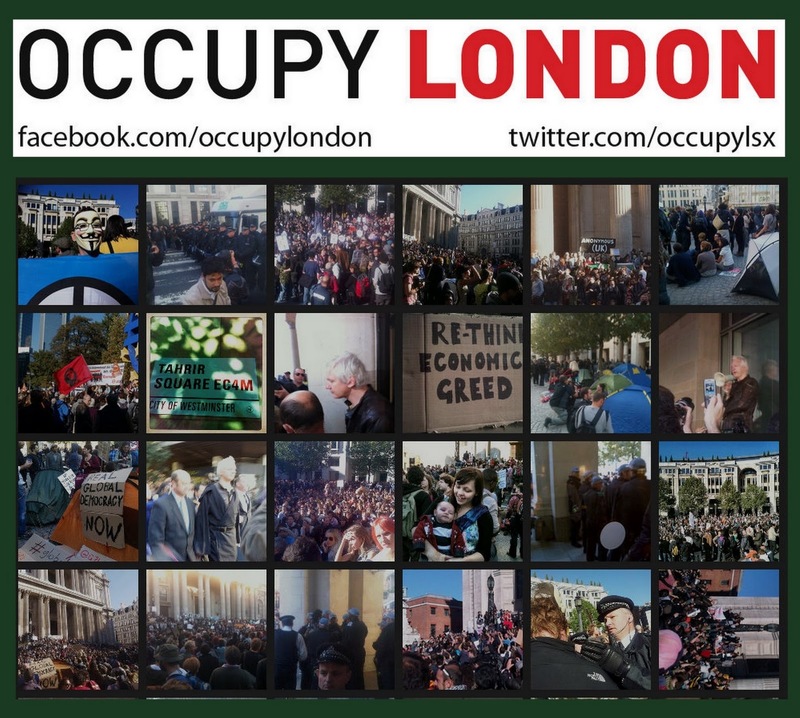 It has already received phenomenal interest, from the public and media in the UK and around the world, with the OccupyLSX facebook group now having more than 15,000 members. 3 For an overview of Occupy events happening in the UK, see Occupy Britain (www.occupybritain.co.uk/). A comprehensive list of United for Global Change events scheduled for 15th October is available at 15october.net. The People’s Assemblies Network (http://www.peoplesassemblies.org) is a global network supporting grassroots democratic assemblies.